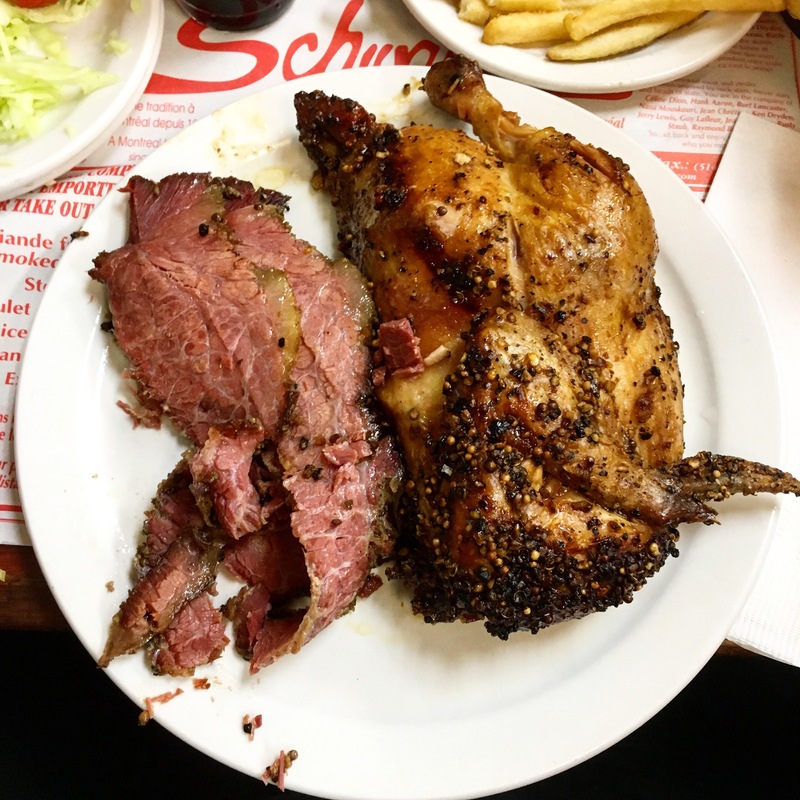 Of course if you’re from Montreal you’ve heard or visited Schwartz’s. I’ve personally been going there for 25 years, when I was not living in Montreal I use to go when I was back in town but since then I go on a yearly base. 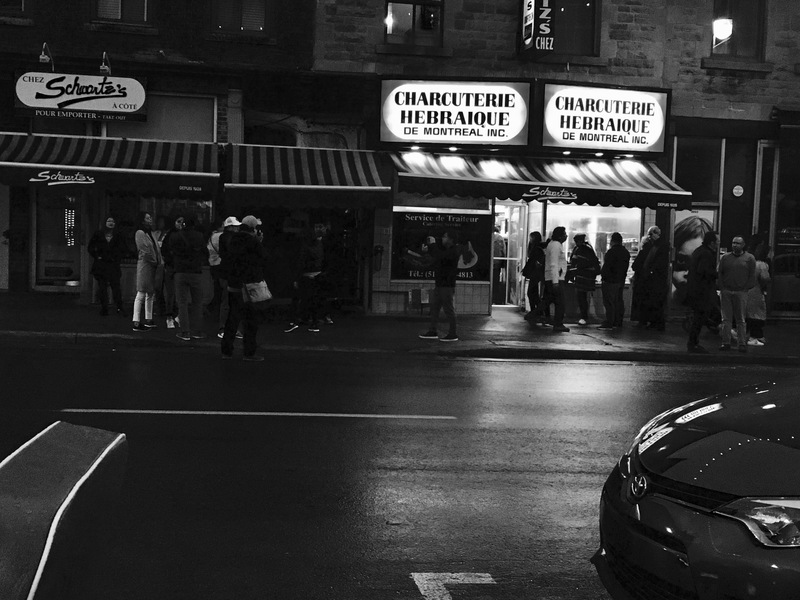 Their smoked meat is obviously renowned serving the same original recipe since 1928. When I visit them I usually always have the smoked meat with a side of hot peppers and a Cherry Cola. I visited them twice recently and one of those visits was with a friend who had never been (not his fault he’s not a born and raise Montrealer). I guess he was looking at the menu through different eyes as I did since it was his first time. He made his choice with the chicken and smoked meat combo and since I usually always have the same thing was intrigue by his choice. Since everything is always good there I decided to change my game a little and take the same thing as he did getting away from my usual tunnel vision that always settled me on the same choice and took the combo as well. First off, it’s delicious, just like their smoked meat! It’s also a huge portion, you get half a chicken plus some smoked meat and bread served with fries and coleslaw. It’s also pretty cheap as this is just under 20$. This kind of got me started to look at other items on the menu and I also saw that they have smoked turkey and duck that you can buy for take out. I’ve learned a good lesson that day, it’s always good to revisit the classics with a fresh set of eyes and discover something new. It might be different but when an establishment keep their standards there’s nothing that can go wrong and you will be happily surprised. la 1 ère fois,j.avais 8 ou 10 ans je me rappelle le bran de scie sur le plancher ,les tables genre réfectoire pas de nappe ,napperon de papier?? pas sûre.On partageais la table avec des étrangers.Il me semble y avoir goûté du foie en plus du smoked meat,Ce fut une sortie mémorable.je devrais y retourner pour actualiser mes souvenirs.